RenPure makes many different kinds hair products. They have shampoos and conditioners for just about any type of hair. 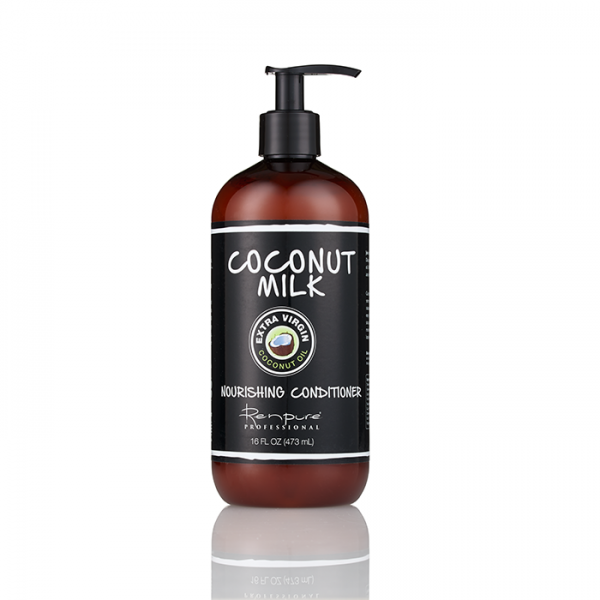 I was given their Coconut Milk Nourishing Shampoo and Coconut Milk Nourishing Conditioner to try out and review. Below you can see what they do and what I thought about them. 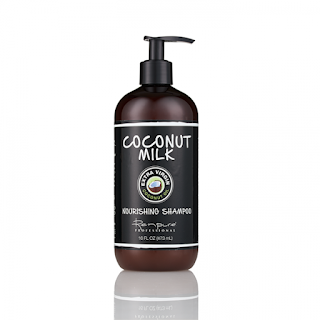 The Coconut Milk Nourishing Shampoo from RenPure nourishes your hair with its nutrient-rich extra virgin coconut oil, as their oils are thin enough that they can work their way into the inner most parts of your hair to provide greater overall hair health. Also, this shampoo is very gentle on the hair, so it is sure not to strip hair of its natural oils, leaving it with a natural, balanced moisture look and feel. Renpure Professionals, Extra Virgin Coconut Oil products are unrefined coconut oil based products that contain natural and organic coconut oil to provide your locks with the most amount of natural nutrients, oils, and hair care benefits as possible! The Extra Virgin Coconut Oil hair care line is the first to provide you with the variety of hair care options that work great on every hair type out there. Their Extra Virgin Coconut Oil products also hold extremely light-weight, nutrient dense, microscopic coconut molecules that quickly deliver natural coconut care to the inner most parts of your hair’s cuticle. The result is hair that is more moisturized, shinier, flexible, stronger, healthier, and more beautiful NATURALLY! This shampoo is very easy to use. Apply to wet hair, then work through hair until a thick lather forms. Work lather through hair until all of your hair has been treated. Then rinse. Follow with RenPure Coconut Milk Nourishing Conditioner. 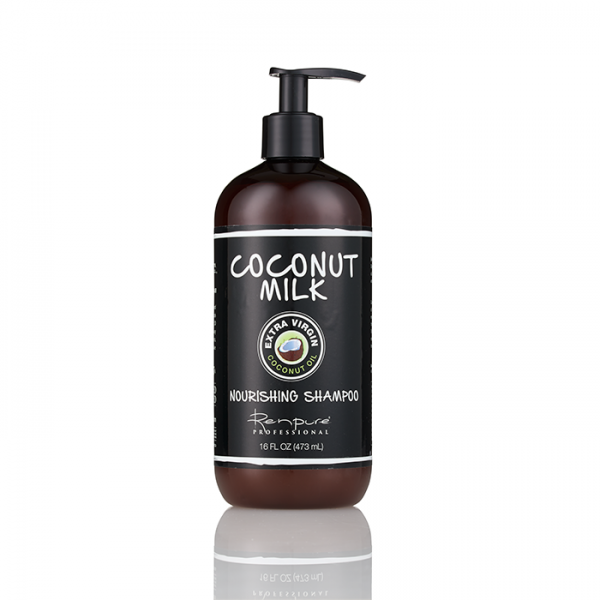 RenPure Coconut Milk Nourishing Conditioner helps to condition hair with its nutrient-rich, extra moisturizing formula that contains extra virgin coconut oil. This nourishing conditoner gives your locks life with nutrient-rich natural coconut oils that are thin enough to work their way into the most inner parts of the hair to provide greater overall hair health. In addition, this extra virgin coconut oil conditioner is very soothing on the hair, so it is sure not to over condition and it leaves hair feeling very soft, shiny, healthy and frizz-free. Renpure Professionals, Extra Virgin Coconut Oil products have unrefined coconut oil in their products that contain natural and organic coconut oil to provide your locks with the most amount of natural nutrients, oils, and hair care benefits as possible! This Extra Virgin Coconut Oil hair care line is the first to provide you with the variety of hair care options that work great on every hair type out there. The Extra Virgin Coconut Oil products also hold extremely light-weight, nutrient dense, microscopic coconut molecules that quickly deliver natural coconut care to the inner most parts of your hair’s cuticle. The result is hair that is more moisturized, shinier, flexible, stronger, healthier, and more beautiful NATURALLY! After trying out these two products I am now worshiping at the altar of coconut. I have used coconut in many products before and liked it but did not realize how using it like this made a difference in my hair. Coconut oil, coconut milk and coconut water all add to the hair and moisturize, make it shiny, more flexible, make is stronger, healthier and much more beautiful. I would naturally recommend using these two products but they do have other coconut products. They have Coconut Water products and Coconut Bamboo. RenPure can be purchased online at www.amazon.com, www.drugstore.com and in these stores brick and mortar and online Walgreens, CVS, Target, Ulta and WalMart. Like RenPure on Facebook: https://www.facebook.com/renpure; Follow RenPure on Twitter: https://twitter.com/renpure; Follow RenPure on Pinterest:https://www.pinterest.com/renpure/and Follow RenPure on Instagram: https://www.instagram.com/renpure/.